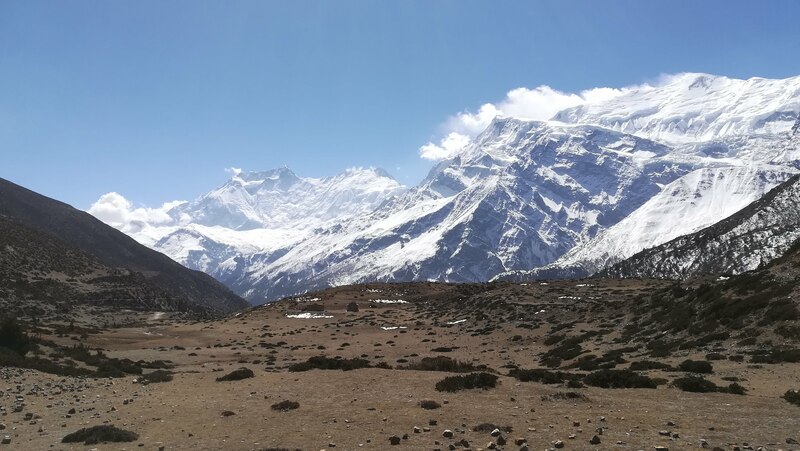 For your acclimation is good to sleep in Yak kharka or Leddar, and anyway, even if you don’t want to listen to general advises about altitude acclimation, you need to listen to your body and he’s going to tell you NOT TO RUSH, you can be sure of that!! During the 2 days that took me to Thorong Pedi, from Manang, I learnt what it really means to keep a steady hiking pace: it means that when it’s flat, you have the same pace than when you go up. It seems obvious? Well, it’s not! Because, if you’re not at more than 4000 m high, I can bet that you’re going to speed up if it’s flat! At +4000 m high, your body will remind you very clearly that it’s not necessary to speed up. Take it easy, drink a tea, step left, step right and you’re almost there. The firing place in the dining room is waiting for you!